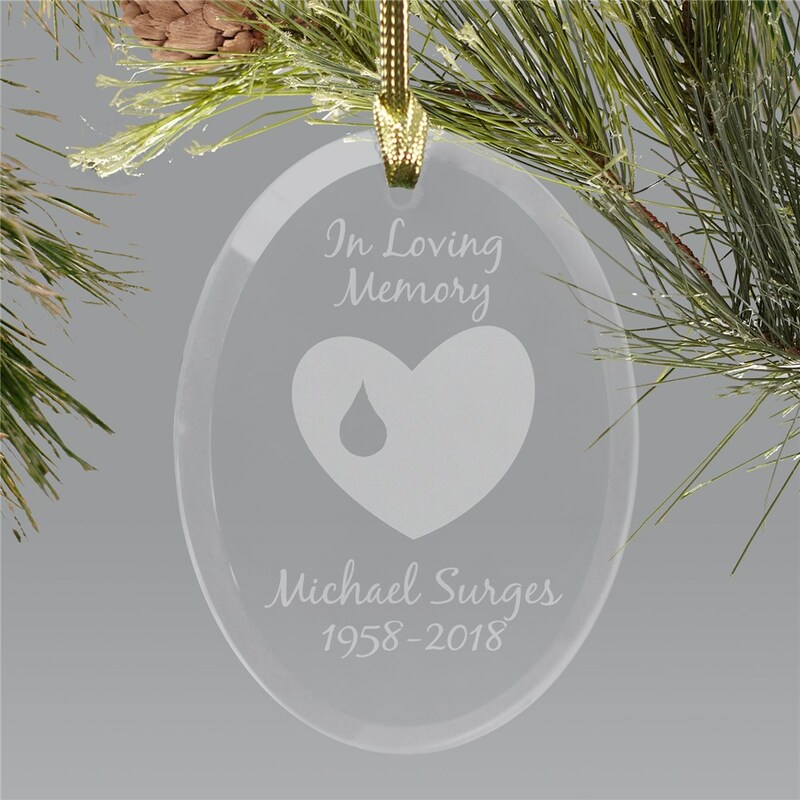 Honor the memory of someone you've lost by displaying our beautiful Personalized Memorial Ornament on your tree. 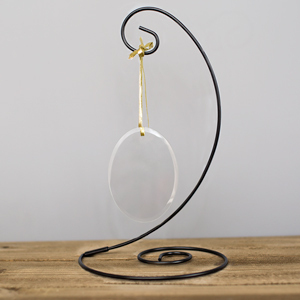 Personalize this ornament with any message (ie: In Loving Memory), their name and birth and at rest dates. Memories of loved ones are a cherished part of Christmas and remembering those who have passed is a time honored tradition. When my husband passed away 8 years ago the funeral home gave me a memorial ornament after the service. It is always the last ornament we hang on the tree every year. 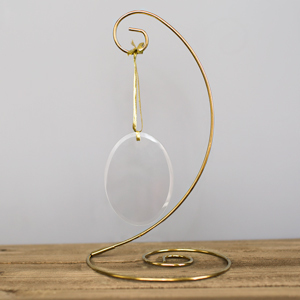 Earlier this year my co-worker lost her mother and I thought this would be the perfect gift for her too. Thank you! It arrived quickly and the tears in my co-workers eyes when she opened this was priceless.